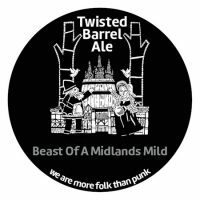 Founded in 2014, Coventry-based Twisted Barrel described itself as the UK’s first pico-brewery with a tiny brew length of just 60 litres, producing just 120 bottles per batch and selling them to a local bottle shop. It has expanded twice since then, and now brews 1000 litres at a time across a wide range of styles – from traditional, such as their Beast of a Midlands Mild, to vibrant modern New England-style IPAs and fruit beers. Their on-site taproom, located alongside other creative businesses in Coventry’s FarGo Village, has become a popular local destination and allows them to serve their beer at its freshest. 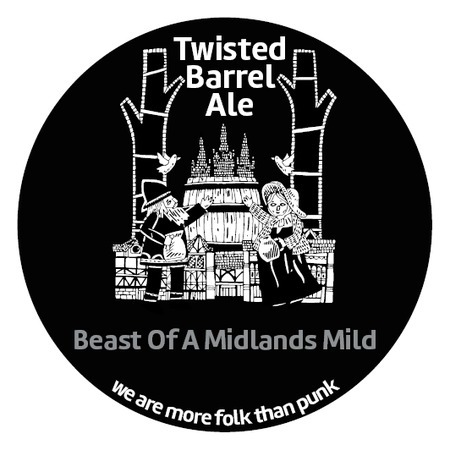 As one of the five core beers produced year round, the very popular Beast of a Midlands Mild is a traditional Midlands style mild, made using a complex variety of malts to provide a rich, textured backbone that belies its minimal strength. The addition of vanilla pods (not included) provides a creamy finish and aroma.